Twice a year, once in Māsi and once in Aavani, the temple brahmotsavams are held and they go on for 12 days. These two principal annual festivals of the year are undoubtedly the best attractions for thousands of worshippers from near and afar. Hundreds of devotees offer angapradakshina to Lord Senthil Andavar during festival times. Of these, the Brahmotsavam of Masi during February-March each year wherein all the three temple cars are dragged and the festival is conducted for twelve days concluding with a Teppam or Float festival is much esteemed. On the seventh and eighth days of the festivals, Lord Shanmukha is housed in the Shanmukha Vilāsa mandapam before and after the processions. The Ratha Festival is conducted on the 10th day and the Teppam (float) Festival on the following day. Devotees numbering about two lakh participate in Avani festival. On this Avani festival 7th, 8th and 10th day functions are more important. The Avani festival of twelve days in August-September comes second in importance, when only two of the temple cars are drawn and also concludes with the Theppam. The 7th and the 8th days of both the festivals are the most attractive, when Shanmukha is brought outside his sanctum in the temple to grace the several Mandagapadis in and around the town. It is particularly an occasion for jubilation, as one and all and especially those who could not till recently enter the temple precincts can have his darsan which is so dear to the heart of his bhaktas. The Pachchai Sattuppadi or the floral decoration of the deity in all green on the eighty morning is especially one which none would wish to miss in the two festivals. The temple cars are drawn on the tenth day of each festival, and the Theppam float on the 11th day concluding the festivals. They are huge attractions to all the country folk around, who come in large numbers and participate in dragging, and bringing them to their stands. Masi Festival begins at the Tiruvizhā Mandapam. More than three lakh people participate in Masi festival at Tiruchendur. The Masi and Avani festivals are noteworthy also for the reason that during most of the days, popular discourses on religion are arranged to be given by scholars of merit and also musical performances, in furtherance of the cultural advancement of the congregation, propagation of religious knowledge, and the resuscitation of arts. The Vasanta festival is an annual festival of ten days in the month of Chittirai (April-May). Senthil-Nayagar, the utsavar processional deity of Subrahmanyam with his consorts Valli and Teyvayānai, are taken from their sanctum in the temple to the Vasanta Mantapa on the giri-prakāra which is suitably decorated with festoons for the occasion and made specially cool with waters filled in the trough which runs around the pedestal on which the deities are placed. It is an enjoyable and pleasant festival, wherein only the blessed who gather there have communion with the deity without much of a crowd. A large number of devotees, numbering about two lakhs, participate in the festival. 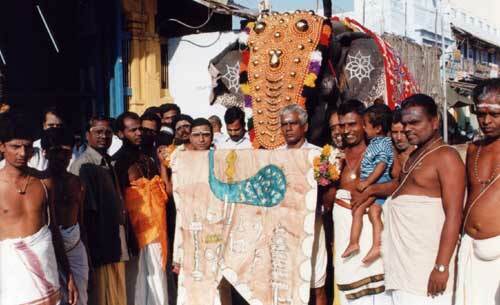 A procession of Śrī Jayanthinathar with Valli and Deivanai is conducted in the night. 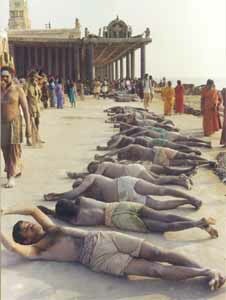 Devotees numbering about five lakhs will participate in Kanda Sasti festival at Tiruchendur. On this festival occasion, devotees fast for all six days. On the sixth day Surasamharam is enacted before a gigantic crowd of devotees on the very beach where Lord Murugan fought Sura Padman.  On the seventh day His Tirukkalyanam (wedding) to Teyvayanai is celebrated in a grand manner. Devotees who take a vow place their offerings during festivals and other days. They austerely fast and carry kavadi, palkudam, offer abishegam etc. to the Lord. The Golden Chariot procession, Chandana Lebanam, Dharabhishegam, and Dharahomam are performed by devotees in fulfillment of their vows. Devotees who perform such austerities get relieved of their mental worries; the unmarried get married; and the childless beget children by the grace of Arulmigu Subrahmanya Swami.